Old map by HUQUIER - Vüe Perspective du Pont neuf construit sur la tamise a Hampton-Court. Title: Vüe Perspective du Pont neuf construit sur la tamise a Hampton-Court. Size: 9.5 x 14.8 inches. Condition: Faint traces of marginal water staining. Very good condition. 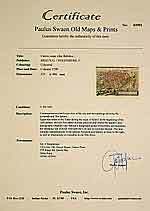 As a result of their constant handling, optical prints - as here - in such a good condition are rare. 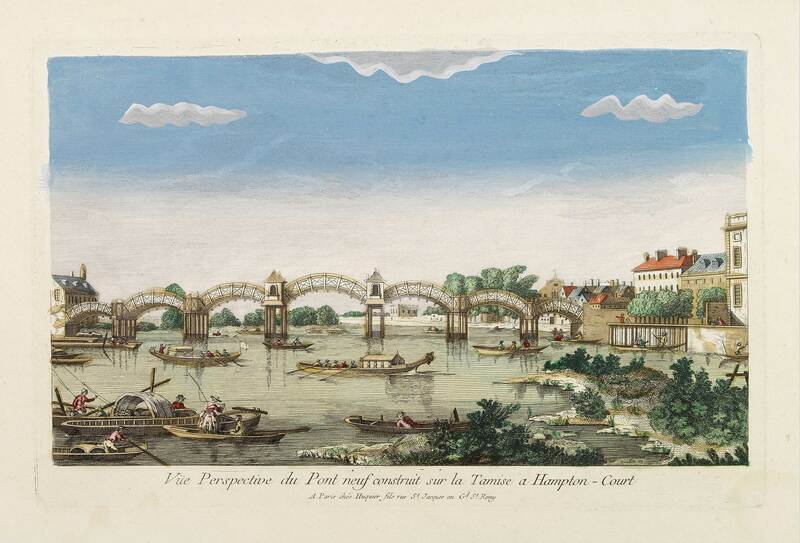 So-called optical print illustrating a bridge on the river Thames at Hampton-Court.